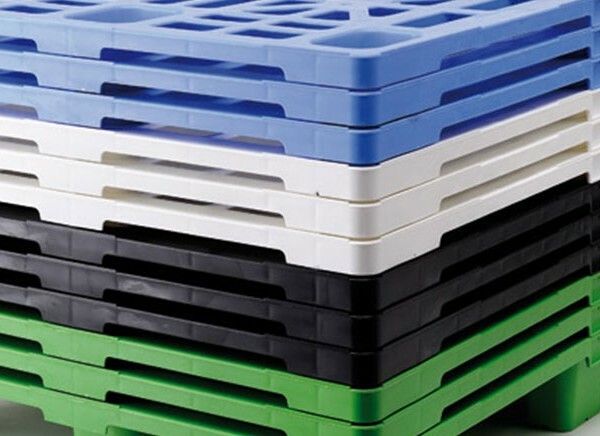 Lightweight, sturdy compact design and immune from any parasite or bacteria infestation and damp, are Logypal features : Plastic pallet Logypal, is the effective alternative to ISPM15 heat treat wooden pallet, because it costs the same, and does not require additional paperwork or specific marking, without excessive additional costs even for small orders. “Innovation can be considered innovative when you can guarantee your customers a cost-effective result”. We give priority to all those issues related to customer costs and overheads. Logypal costs the same as a conventional wood pallet but lasts a lot longer and remains intact both in appearance and in structure. Lightweight, compact design and longevity are features of Logypal which help you to cut down on logistical costs – shipment, returns and warehouse management. 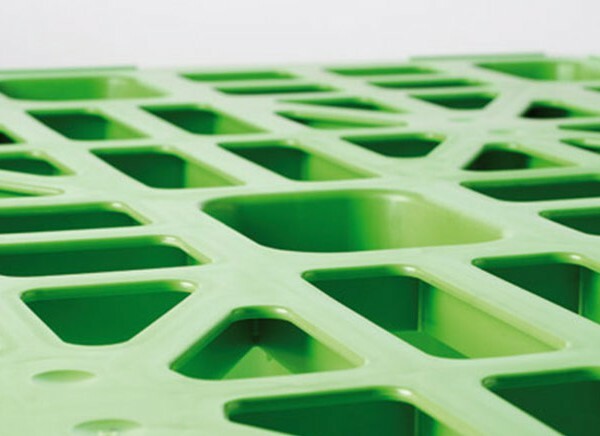 Logypal incorporates a number of technical improvements making this transit packaging product a cut above the rest in terms of functionality when compared to conventional plastic pallets. The structure and materials offer increased carrying capacity of 25%, compared to conventional pallets of the same weight. The purpose rounded holes in the deck are designed to eliminate problems related to loading and securing small items, damage to goods caused by sharp corners and bag “bursting”. 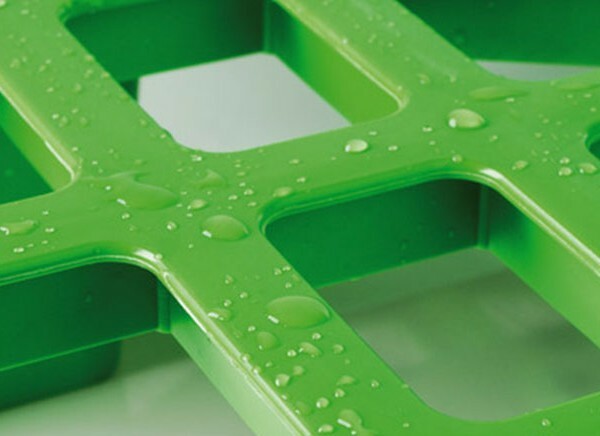 The holes at the base of the support feet prevent any build up of water when the pallets are positioned on flat surfaces and the on ground. 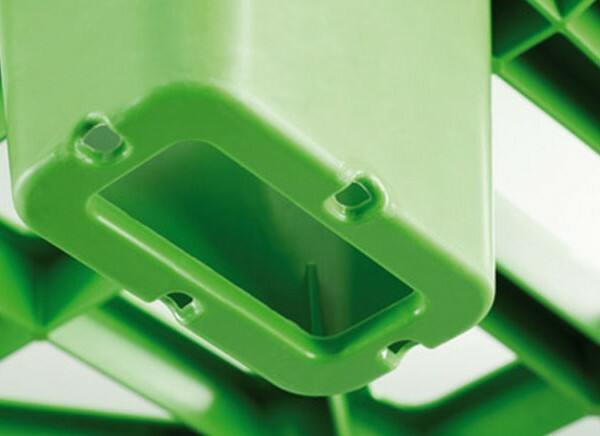 The purpose edging trim offers an ideal support for items positioned over the support feet and the containment sidewalls prevent goods from slipping. Logypal’s light weight makes it easy to handle and move.It is the perfect solution for stacking in this way reducing any risk of overturning or tipping facilitating warehouse handling and transport operations. 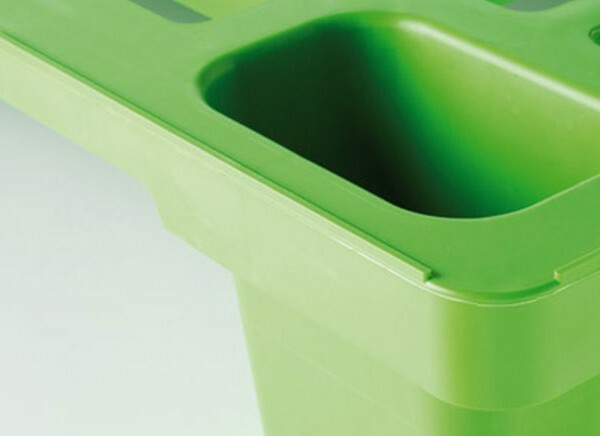 As Logypal does not absorb liquids it is not subject to damp and mould, parasite or bacteria infestation and can be cleaned and sanitized using high-pressure water jets. 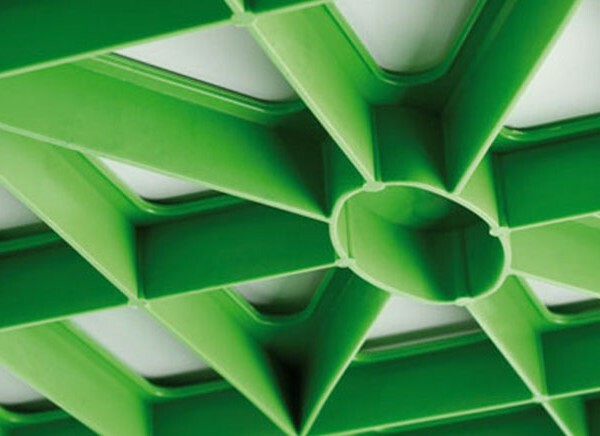 Logypal remains unchanged over time, the raw materials are environmentally sustainable and 100% recyclable. Logypal is an investment that does not lose its value in time and when damaged can be recycled. Logypal is not subject to any form of restriction related to import and export and can be used worldwide and does not require additional paperwork or specific marking. It is maintenance free and does not require special anti-parasite treatment as required by law – Fao-Ispm 15 standard.These are futrher important aspects that make this product even cheaper.